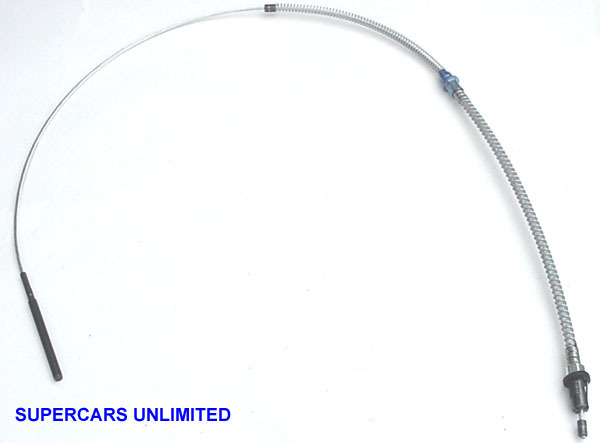 Correct direct fit reproductions of the original front parking / emergency brake cables. Front cables connect the parking brake pedal assembly to the intermediate cable. All are complete assemblies with ends attached. Fits all 1964-1972 applications (including wagons) except models with TH400. Fits all 1967-1972 applications (including wagons) with TH400. Attaches the front cable to the frame. All models. Connects the front parking brake cable to the intermediate cable. Kit includes two nuts.